We all are well-aware of the importance of mobile phones in our day to day life. It is considered a survival-necessity for the youth. Considering this, various learning platforms have been offering their services on the mobile applications. These applications make your learning very efficient and handy as well. You don't need to carry a load of books when you travel. 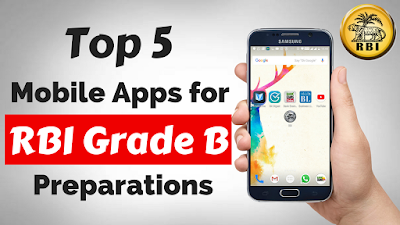 Here are top 5 applications that can help you to prepare for RBI Grade B 2018 Exam. 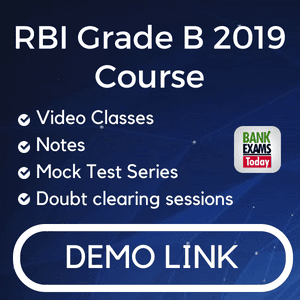 This app is a platform that offers you the study material for RBI Grade B. Demo classes as well as Demo Notes are available for free. Also, the app is updated daily with important content which is useful for RBI Grade B Exam. The full-fledged RBI Grade B is a great source to prepare strategically for the exam. This app will help you to learn and improve English in an effective way. 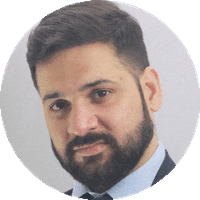 It is designed to help improve vocabulary, the understanding of English idioms and commonly confused English words, the knowledge of phrasal verbs, homonyms/homophones. This will prove helpful if you don't get the time to read the newspaper. The app covers all the latest news. It is rich in information and content. Latest market trends, political and economic issues, sports and international events everything is readily available. This app of the Reserve Bank of India allows users to access the latest press releases, exchange rates, current policy rates. This is a must-have app for RBI Grade B exam aspirants. Here you will get the categorised current affairs everyday with expected questions. The current affairs are written in very easy to understand language by excluding the unnecessary information and adding the more useful information.